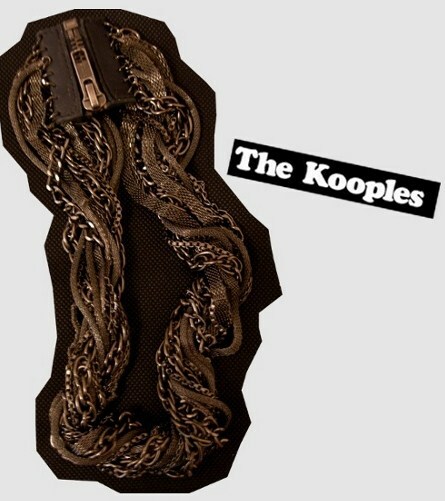 The last days of sales in Paris have arrived and usually around this time, there is nothing good left anymore…so I was totally excited when I came across this amazing the Kooples necklace yesterday for 50% off. I have been searching all winter for this kind of necklace…it’s the perfect piece to spice up a basic jeans/tee combi and adds the right amount of rock’n'roll to each look. Well, I have to admit that apart from checking out their sales, I had a look at the new spring pieces. The collection is gonna be super hot, but more on this later. In the mean time, I suggest you check out the Kooples site, they have a really good music player, to which I have been rockin all moring.